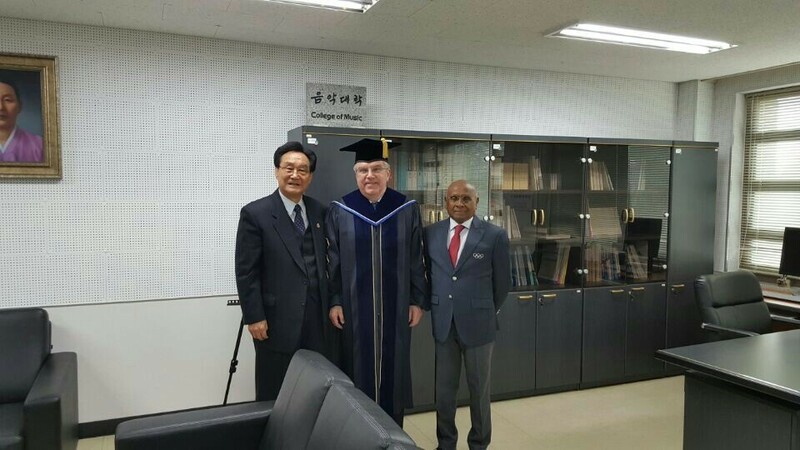 On March 9th, TAFISA President, Ju-ho Chang joined a ceremony at Dankook University in Seoul, where IOC President Thomas Bach was awarded an honorary doctorate degree in political science. 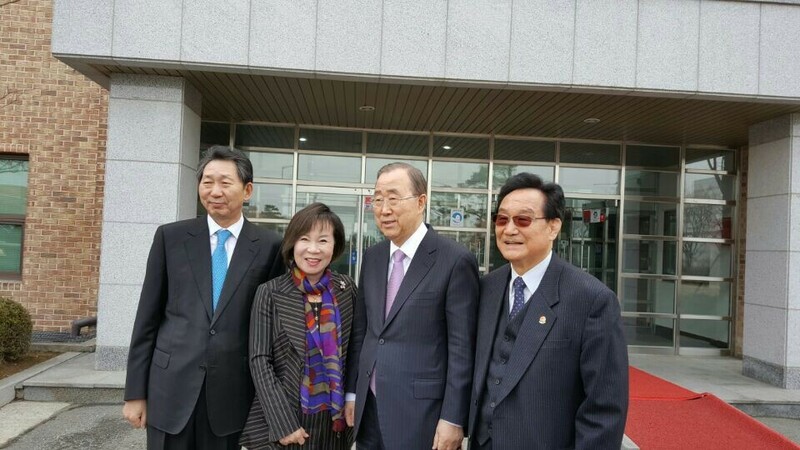 The event was also joined by former Secretary-General of the United Nations Ban Ki-Moon in Seoul, Korea. The ceremony was then followed by a meeting between the IOC and TAFISA Presidents, where Dr. Sam Ramsamy, Chair of the IOC Sport and Active Society Commission, also took part. 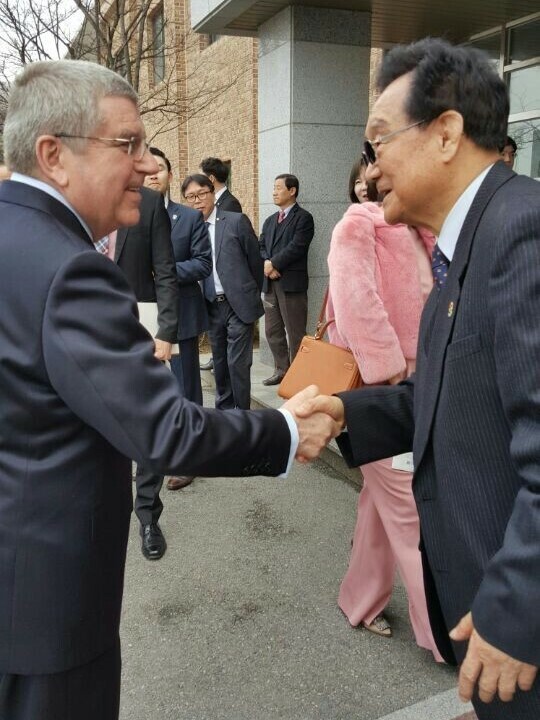 The Presidents discussed the extension of the already active and positive partnership between TAFISA and IOC. TAFISA extends its gratitude to the IOC and to President Bach for their continued cooperation and their strong support in contributing to the Sport for All Movement.